+Great glasses. The child was 8.5 years old for her to sit perfectly. We use it both for permanent training and for starts. They sit perfectly, do not get fogged up and do not miss the water. 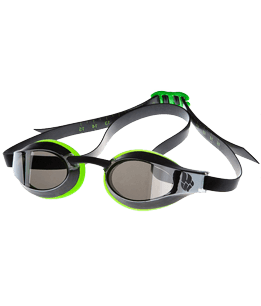 +Convenient glasses for training and start are easily fixed and spare nasal lintels are supplied. -When buying I had to completely remove the strap as it was all tangled. I use them for a year and nothing broke or broke like on Chinese glasses. +Excellent glasses, perfect adhesion, several jumper sizes. Took children for 5 years and 8 years. picked up from the kit jumper (well there is a choice). Very pleased!! !